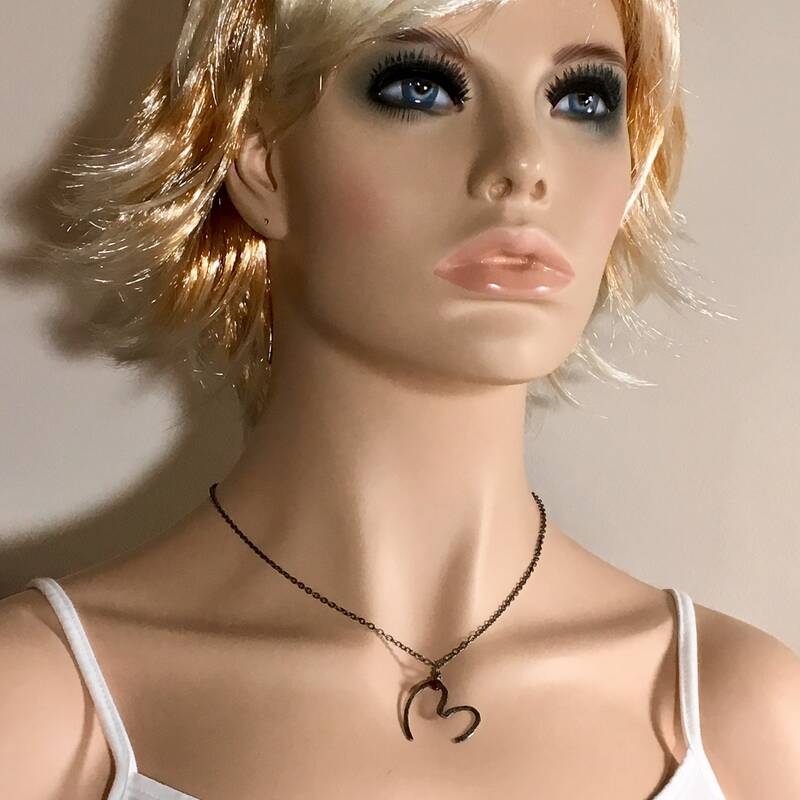 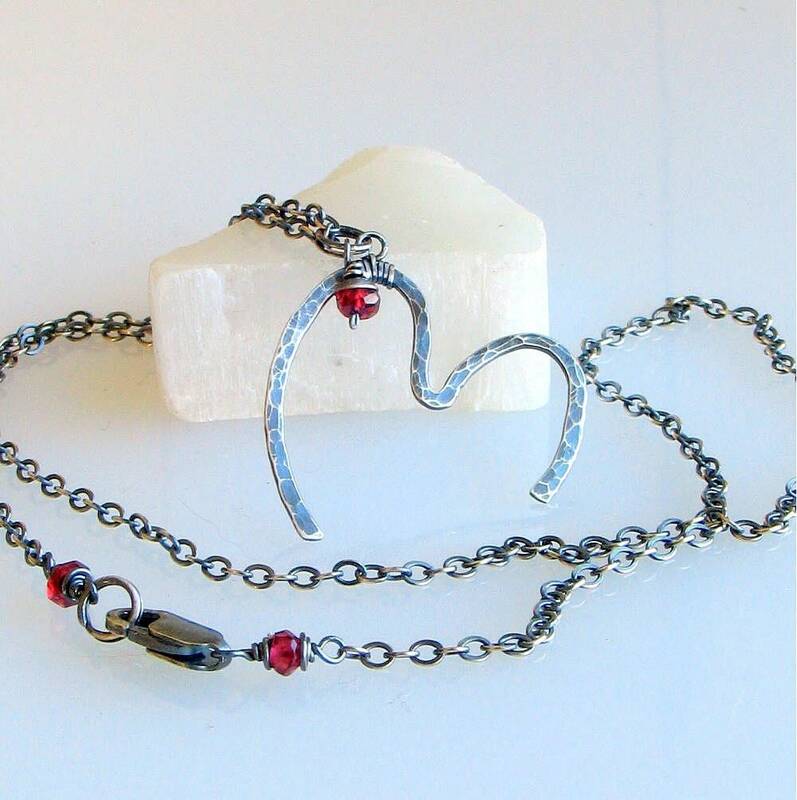 Artisan Sterling Silver Heart Pendant, Petite size on an oxidized sterling chain. 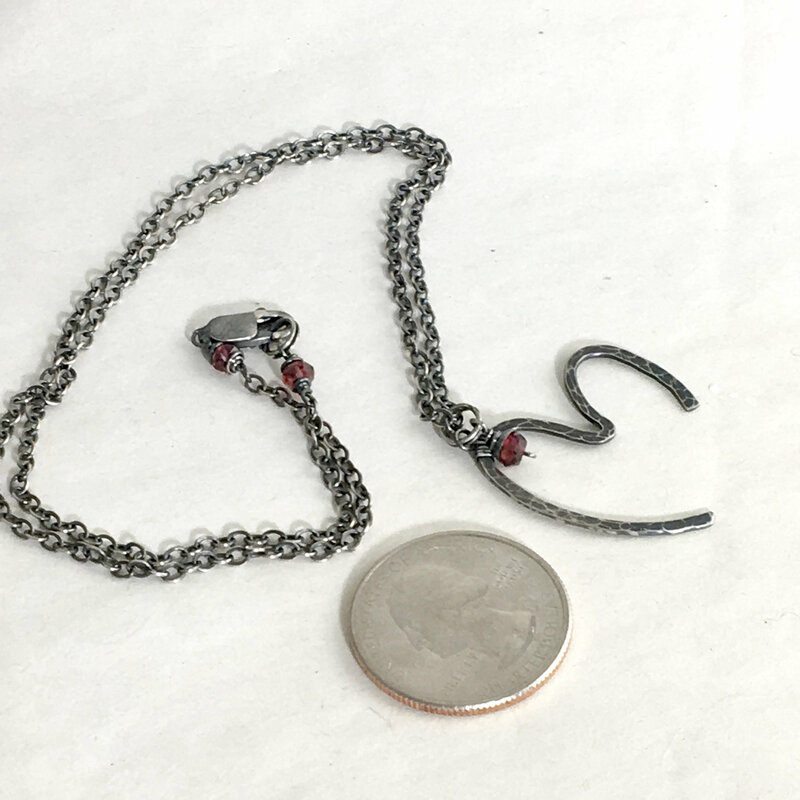 Original Hand Forged Silver with a Hammered Texture and Red Garnets. 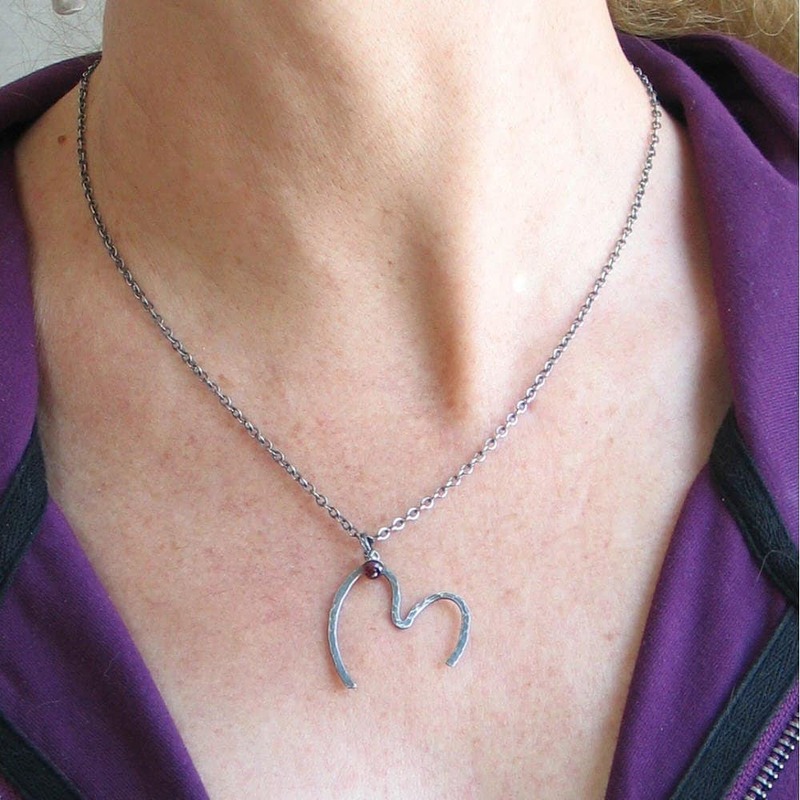 Graphic Shape of a heart icon. 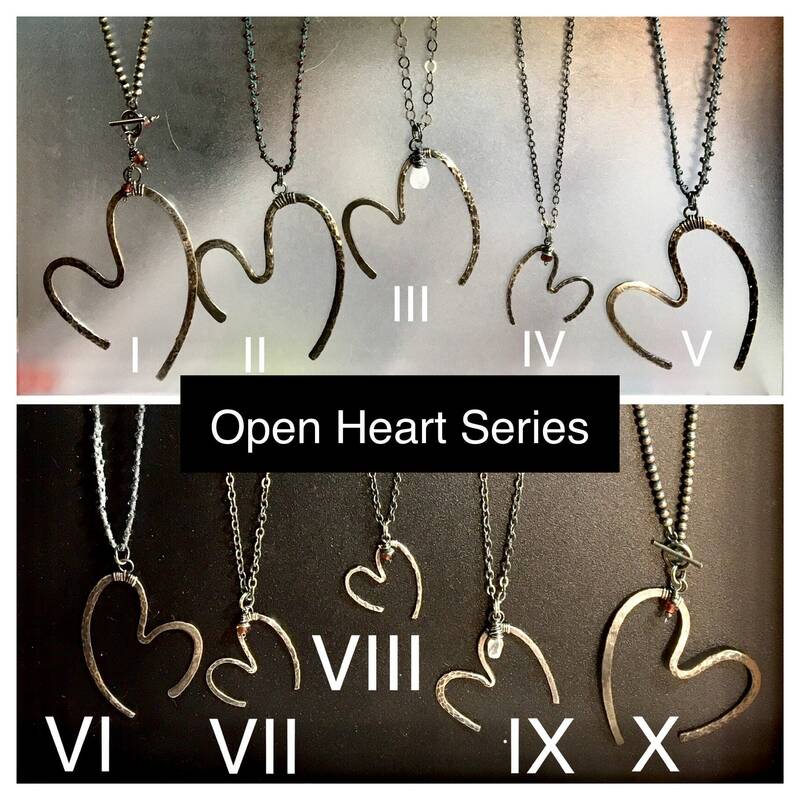 I just love this series of handformed oxidized sterling silver hearts, and every one is unique...but related. 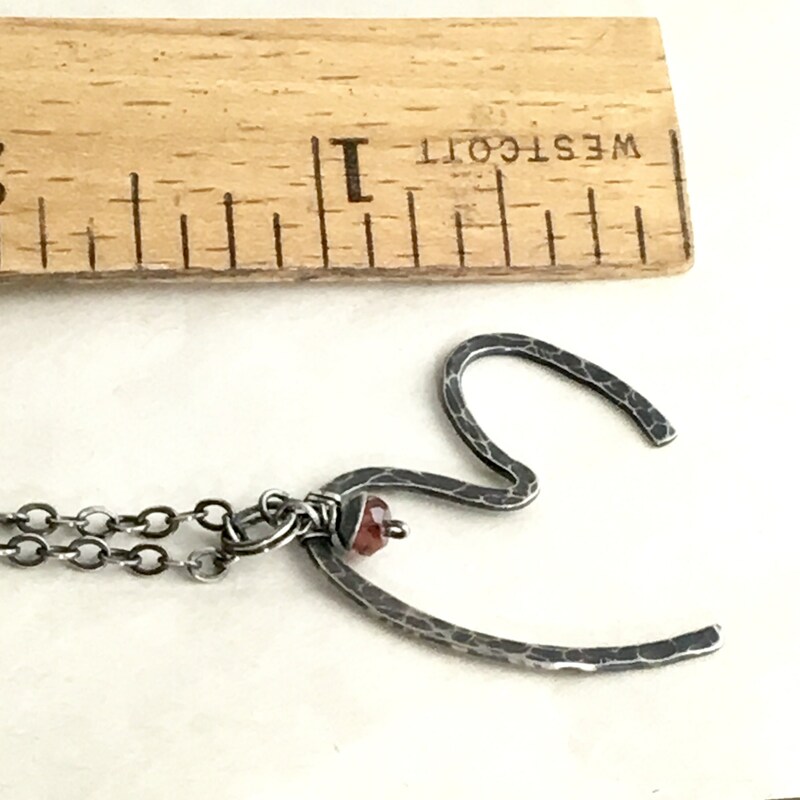 Number IV is quite small and is paired with a tiny capped, faceted garnet. 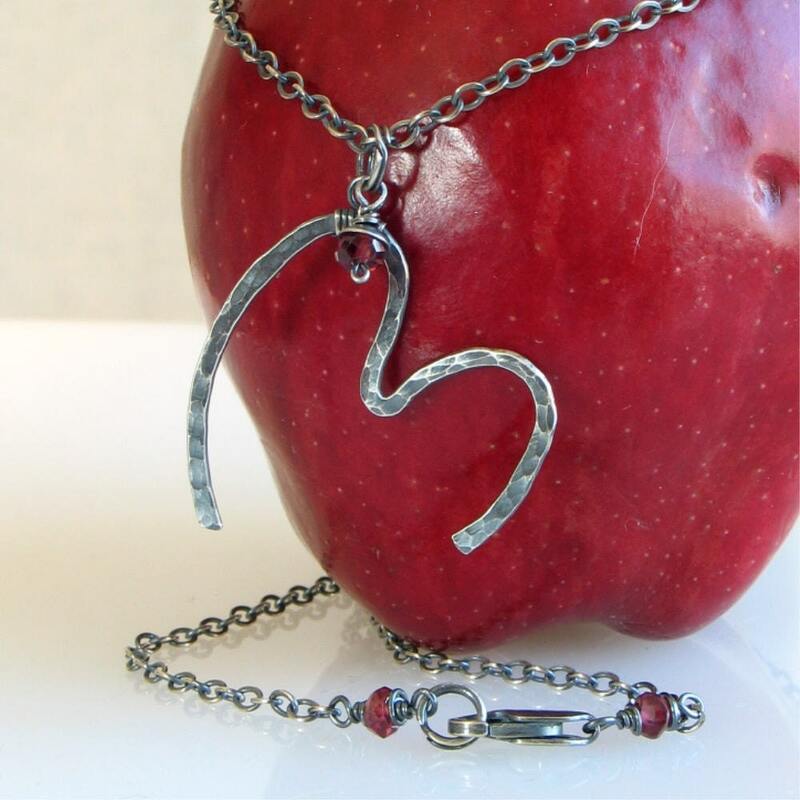 It is a calligraphic gesture, with an oxidized hammered texture and a delicate oxidized chain. 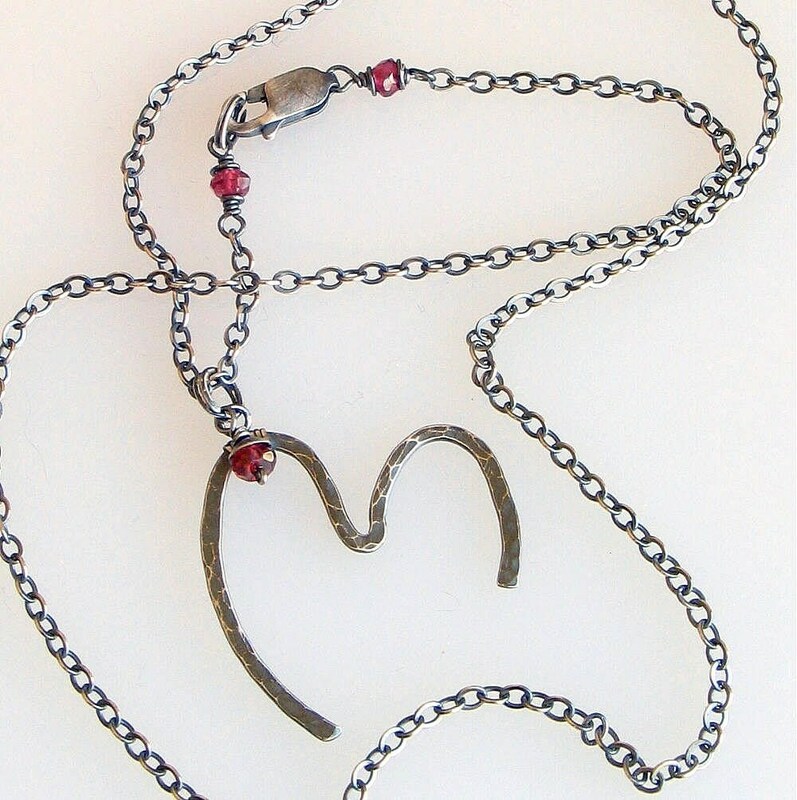 The chain is 18" long and the cold forged heart is about 1 1/8" tall x just over 1" wide. 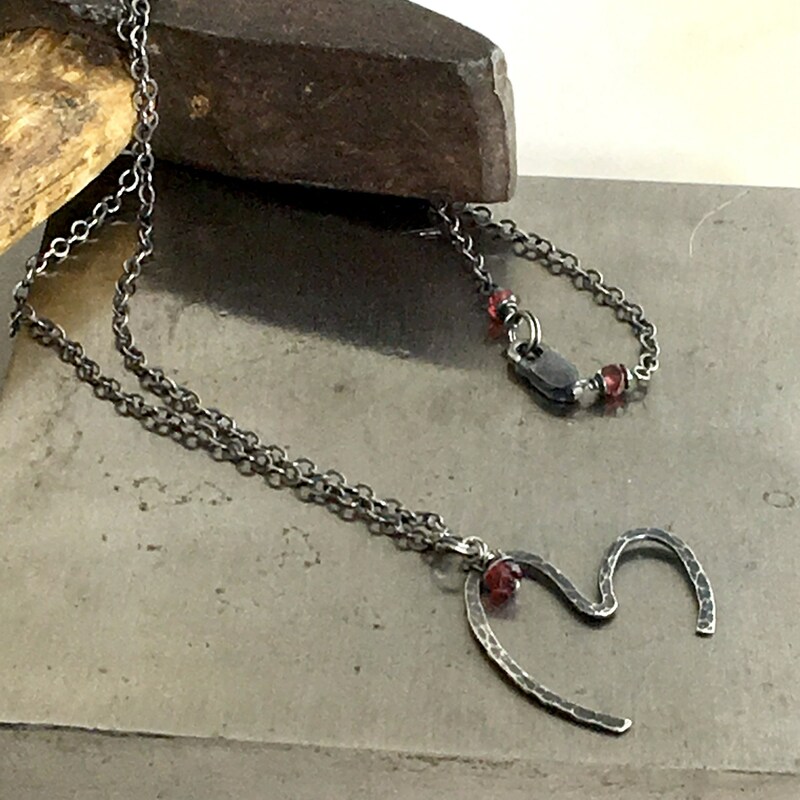 A pair of matching, faceted garnets bracket the dainty lobster claw and ring so the clasp can be worn in the back or on the side. 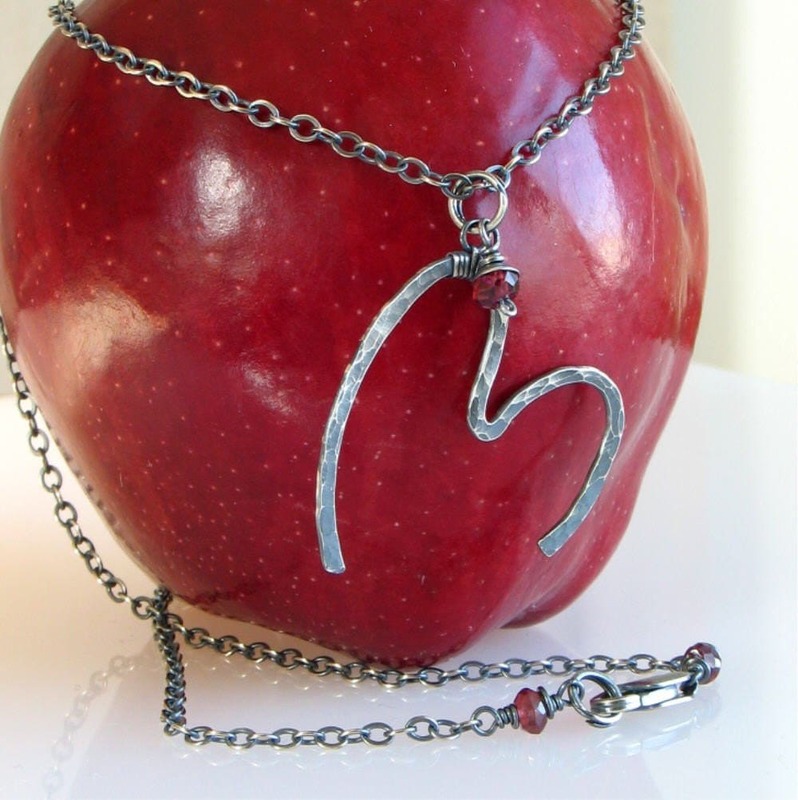 All purchases are sent in my signature gift boxes, all ready for gifting to your special someone for Valentine's day.